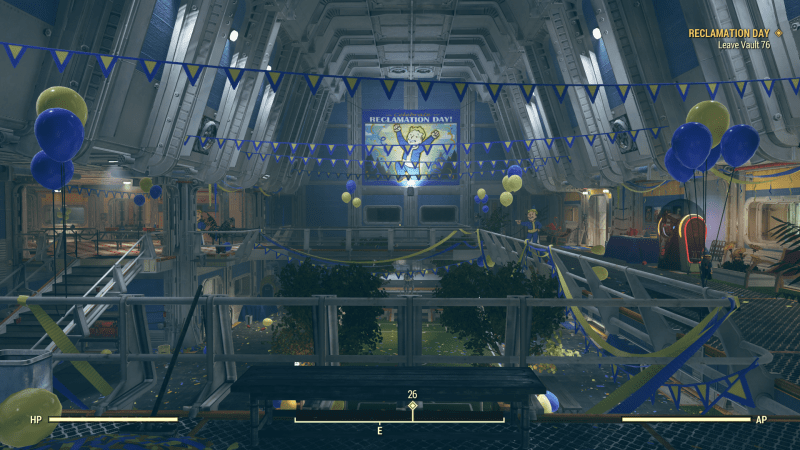 Reclamation Day is the first quest or mission you will find when you begin playing in Fallout 76. 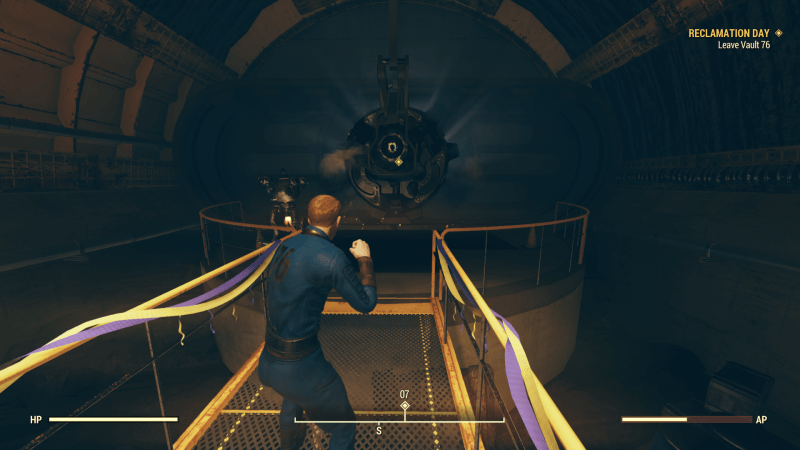 The task will require you to leave the Vault and pick up some items. If you find the quest is too difficult, then team up with other players to complete the quests easier, as your friend would help you progress the game. 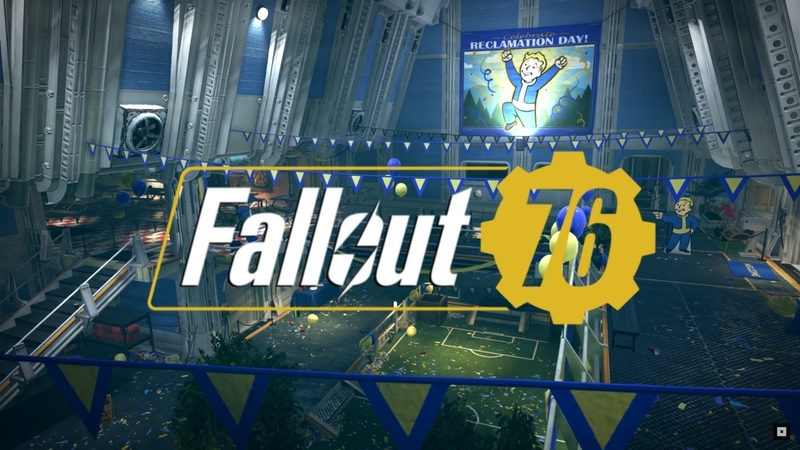 Now here’s the guide and walkthrough for Reclamation Day in Fallout 76. Before you start the quest Reclamation Day, you should first check out the introduction and design your character, customize the appearance of your character from head to toe and give him/her a name. 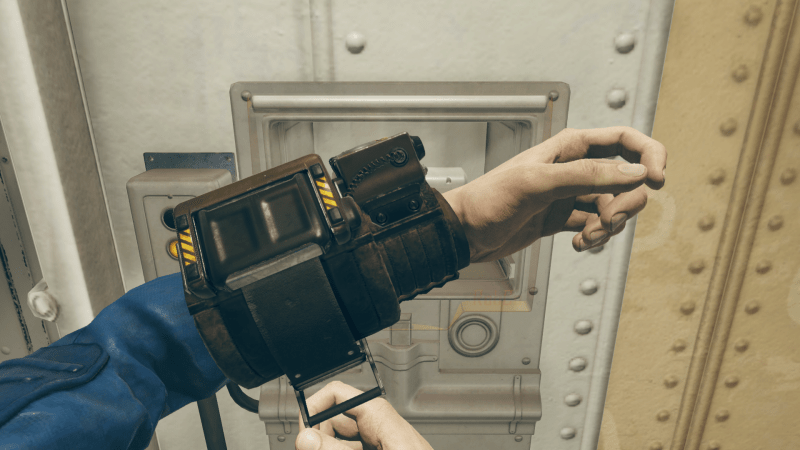 Once you’re done, get the Pip-Boy right at the door and leave Vault 76. After leaving your room, you will be greeted with this huge place, there’s nothing to find there, just get to the yellow marker on the floor beneath. 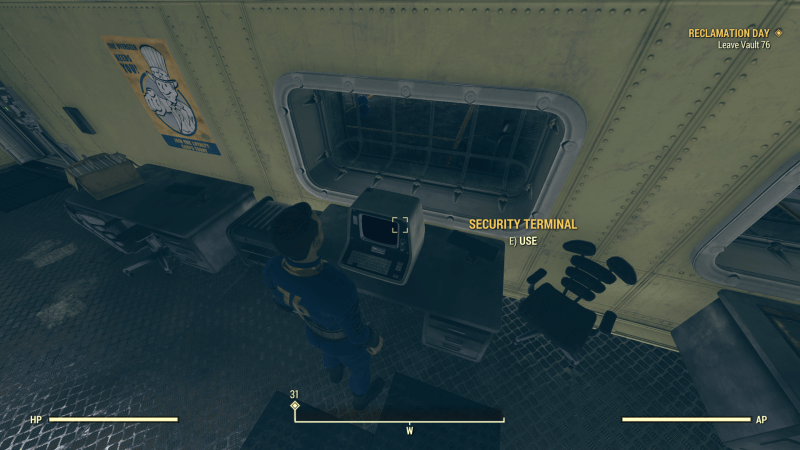 Now, you will encounter a security terminal, remember, there are no any human NPCs in the game. The task now is to get to the Overseer’s terminal to discover the main mission, you can also interact with the robots you find along the pathway. There will be many robots placed at each ‘station’. Remember to pick up the items they laid down for you, you will find items like Radaway, Stimpaks, etc. 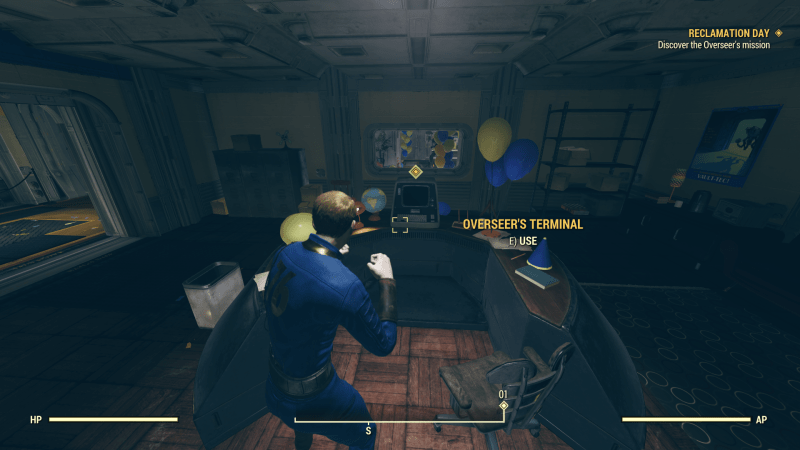 Now you will finally come across a room where the Overseer’s terminal is located, use it, you can check out everything in the terminal, and most importantly, play the holotape. 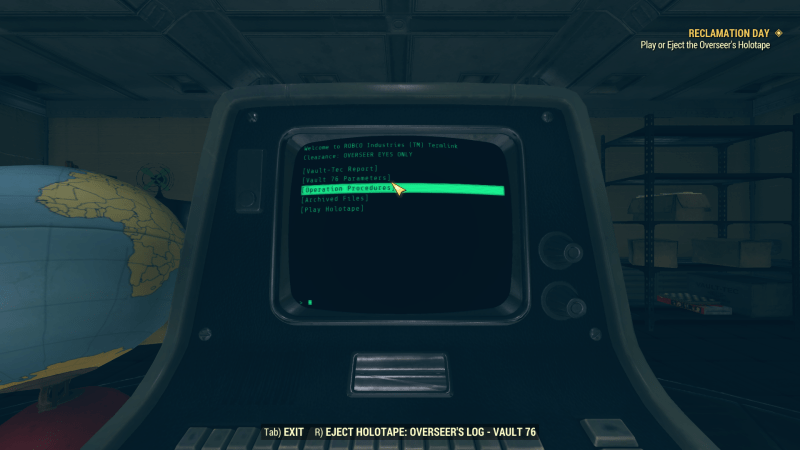 Learn how to use the holotape, you will then learn of the Overseer’s mission. 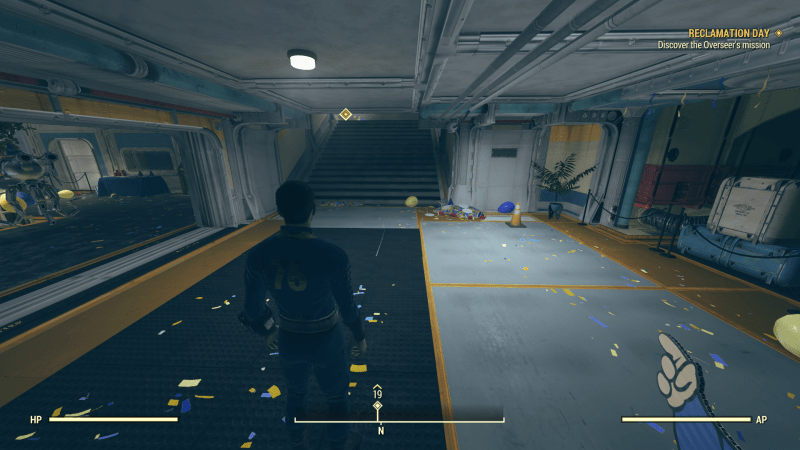 Once you’re done, leave the vault through two sliding doors and walk towards the end, you will find this final door to open. Get out of the place, the quest has completed, and now you will immediately start the next quest, First Contact.